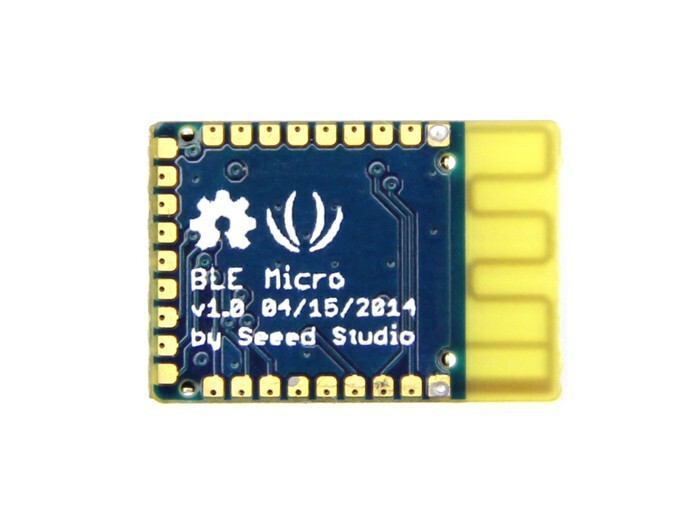 The BLE Micro is a low cost ARM cortex-m0 based module for Bluetooth® Smart designs with the nRF51822 SoC. The module gives access to at most 23 GPIO pins via pin pads and incorporates an on board PCB antenna to minimize material cost but also with a good performance.The application engineers can easily apply the module for theirs application without worrying about the specific impedance matching or soldering fine pitch related radio designing issues. 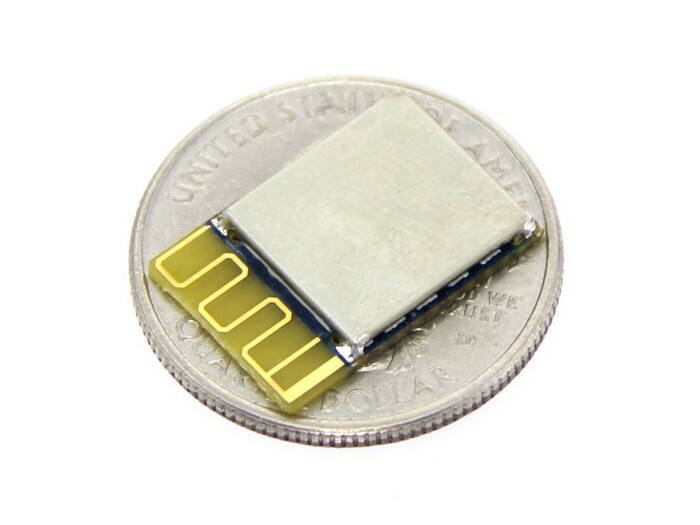 Features Multi-protocol 2.4GHz radio 32-bit ARM Cortex M0 processor 256kB flash/16kB RAM Programmable output power from +4dBm to -20dBm Flexible and configurable 23 pin GPIO Wide supply voltage range (1.8 V to 3.6 V) RSSI Documents Please visit our wiki page for more info about this product. It will be appreciated if you can help us improve the documents, add more demo code or tutorials. For technical support, please post your questions to our forum.